Powerbrace mid-cam assemblies reach out and grab bowed and warped doors pulling them together for a tight seal. 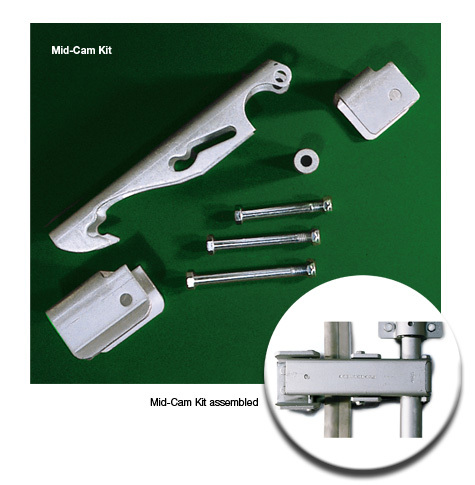 Mid-Cam lock kits include barrels (P/N P41035) for field attachment to completed lockrods. Kits are available without barrels for lockrods manufactured with barrels. * Order barrel P41035 with lockrod order for installation during manufacture of lockrod.